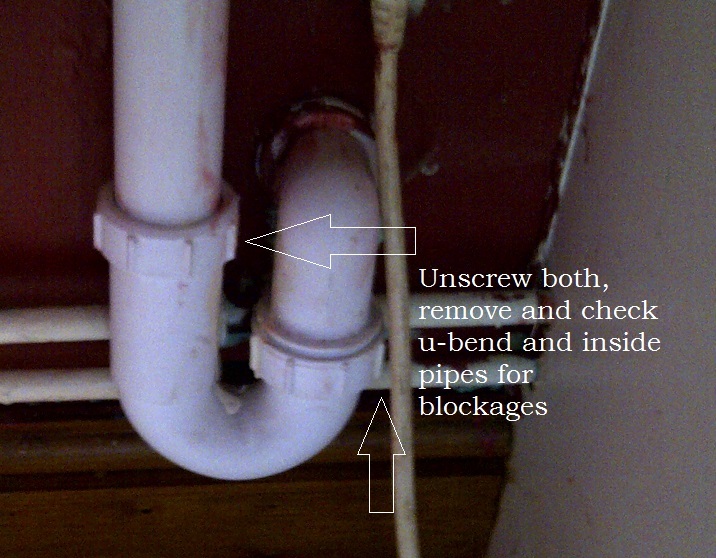 If the leak was big, it is generally easy to find where the source is coming from as you will normally be able to see a trail of water and soap as in the image above. 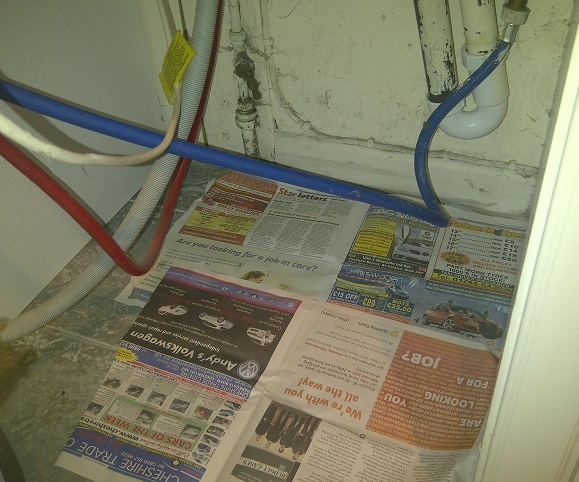 If the leak is only small, place some newspaper under the washer. Check after each wash for any signs of water on the paper. The soap drawer, where you put soap powder and conditioner, has no seal and relies on a slope and gravity to prevent any leaks. This can start to leak in a couple of situations. 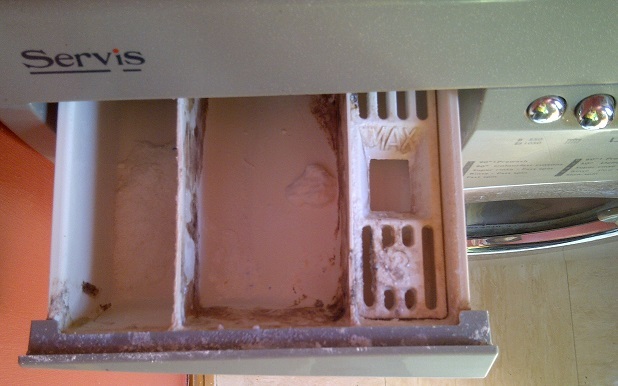 Usually caused by putting too much powder in the drawer which means it does not dissolve and instead forms a gungy mass. This builds up over time restricting the speed at which water can escape. Once this is less than the speed it is filling, the excess will overflow over the front. The answer to this is simply to remove the blockage. First manually remove any excess powder that is visible, then with the washer closed, pour boiling water into the soap drawer. Repeat this until the water runs easily, then put the washer on a quick wash to clear the system. Alternatively you can remove the drawer from the washer and clean in the sink or with a brush. The drawer can normally be removed by either a release catch at the back or by gently lifting the front of the drawer once it has been pulled out. The second reason for this when the water pressure is too high. In this case the water is coming into the drawer faster than it can drain out. If you have a tap on the pipes where the hoses connect to, you can try to turn this half off to reduce the pressure. The door seal stops water getting out through the hole where the clothes are put in once the door is closed. General wear or objects left in clothes can create tears in the seal. 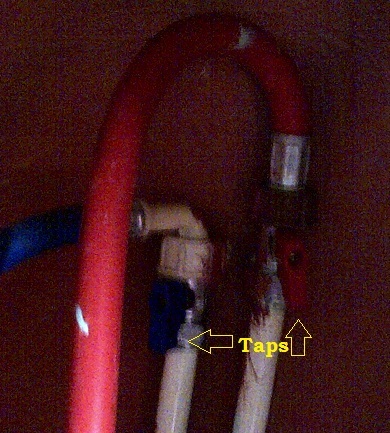 This type of leak will normally run down the back of the front panel and show itself on the floor (shown as inside door in the image above). You can generally find these holes by pressing on the seal to expand it and visually inspecting it. If so, you will need to replace the seal. See here for details. The leak may also run down the front of the panel (shown as inside door in the image above), but in this case you should first check there is nothing obstructing the seal. This could be a loose thread or soap residue. IF there is something between the glass and the rubber, this can create a channel for the water to escape. Try wiping the glass and seal with a wet cloth. This might restore the seal and prevent you having to buy a new one. Most modern washing machines have a filter to prevent any items left in clothing getting to, and damaging the water pump. For easy access this is normally located on the front of the washer. Blockages in the filter will normally cause the washer to not empty rather than leak, but if there is damage to the seal on the filter it can leak from here. Remove the filter by unscrewing it, then check for any rubber washers or seals for signs of damage that may need replacing.